Market Snapshot for Normandy Golf Course, Single Family Homes, residential community in Miami Beach, Florida. 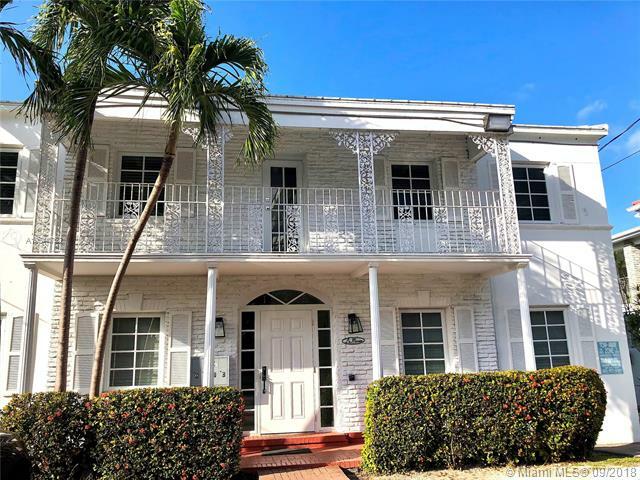 Normandy Golf Course Single Family Homes is located at Miami Beach, Florida, 33141. This residential community was built in year (2007) and currently offering (25) Single Family Homes for sale in Normandy Golf Course, with price ranges from $699,000 to $4,400,000. Whether you are looking for most up-to-date Normandy Golf Course, Single Family Homes, residential community or another luxury development in Miami Beach, Florida to Buy or to Sell, our website will provide you with the most up-to-date luxury homes and condos for sale in the city of Miami Beach. The Normandy Shores Golf Course located between Biarritz Drive and Shore Drive at the northern end of Miami Beach on a secluded island in Biscayne Bay. Before there were homes and families on the gated, secluded island known as Normandy Shores, there were golfers. In 1928 the City of Miami Beach acquired a mangrove patch immediately north of Normandy Isle through a donation. One year later, the city began dredging the bay bottom in order to create land. The goal was to construct a golf course. The Normandy Shores Golf Course, has a history as extensive as its 18-hole course. In 1928, the land was donated to the City of Miami Beach by M. C. Gryzmish. 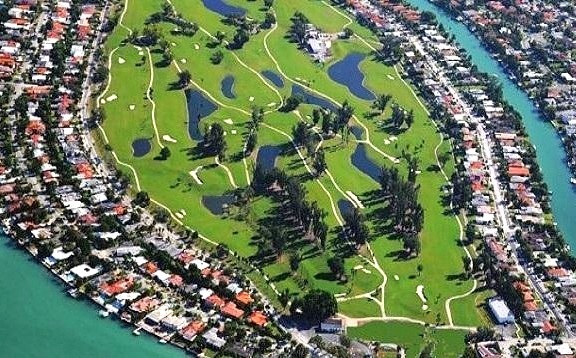 Due to difficulties encountered while growing grass on the soil pumped from the Biscayne Bay, construction of the course took longer than anticipated. Once finally complete, the golf course officially opened at the height of the winter season in 1941. By the mid to late 1940s, soldiers from World War II were rushing back to this area where they had once trained and where they held great memories of the sunny paradise. Years of dredging eventually led to the establishment of Normandy Shores Isle in 1939. Soon renowned golf course designers William S. Flynn and Howard Toomey were engaged to work their magic. And by 1941, at the height of the winter season, the golf course welcomed its first players. 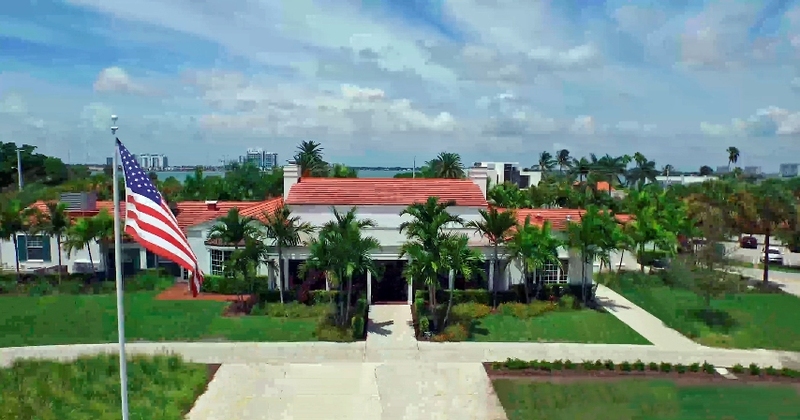 One of the first built on a former mangrove, the course originally boasted a beautiful clubhouse designed by August Geiger who created Miami Beach co-founder Carl Fisher's North Bay Road mansion. It wasn't until the mid-to-late 1940s that residents could actually brag that they had a golf course in their backyard. The subdivision surrounding the golf course was platted in 1945 and became an attraction for former soldiers, who had favorable memories of the sunny area where they had trained before entering World War II. These men returned in droves to Miami Beach and settled down to raise families. To accommodate the growing population, Miami Modern-style homes sprouted up around streets that encircle the island. Fairway Drive runs along the north side of the golf course and features modest-sized homes. More spacious structures can be found on North Shore Drive, which stretches along Biscayne Bay and Indian Creek, and on South Shore Drive, which borders the Normandy Waterway. Today there is a total of 340 singele- family homes on Normandy Shores. After existing seemingly under the radar for decades, Normandy Shores is clearly on the upswing. In addition to offering unparalleled opportunities for recreation, namely golf right outside your door and a pair of parks, the neighborhood enjoys an ideal location on the water and in the center of everything near the beach, shopping, restaurants, and businesses. Best of all, the residential enclave boasts the seclusion and quiet only rivaled by private, gated communities. It is no wonder the area has become attractive to the famous and to families magnet for the famous as well as for families.As residential building progressed so too did the golf course. In the 1950s it was freshened up with a redesign by Mark Manahah, and famous professional golfers such as Sam Snead and Arnold Palmer began to flock there. While adults had their playground where they could chase a small ball around, the children of the neighborhood soon were accommodated as well. Normandy Shores provides recreation space for kids in the form of two parks: Normandy Shores Park and Fairway Park. The Inaugural South Beach International Amateur was held at the Normandy Shores Golf Course in 2011, and was named the highest ranked first year tournament. This course is the premier spot to host corporate golf outings or tournaments. The City of Miami Beach still operates the Normandy Shores Golf Course and continues making enhancements to the property. In December of 2008, the course re-opened after a 6-year, $9 million-dollar renovation under the aegis of prominent architect Arthur Hills. Also a major public works project improving drainage in the neighborhood is also underway. 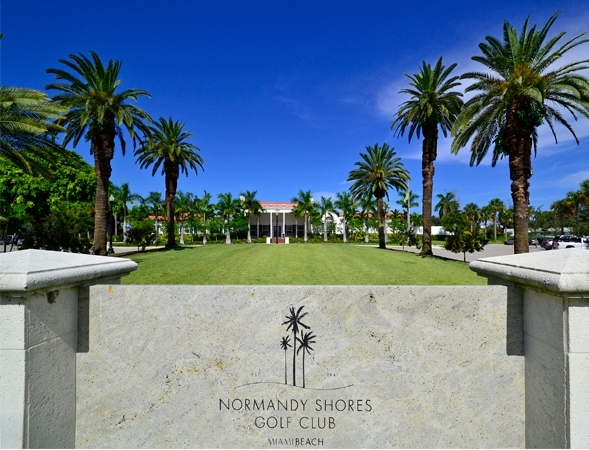 The Normandy Shores Golf Club building welcomes visitors with its original 1940s facade. The inviting structure has since been remodeled with a well-appointed lobby, meeting room, pro shop, men's and women's locker rooms, and full service restaurant. The Normandy Shores Grill, also known as "The Grill", is located inside the Normandy Shores Golf Club and features a full bar with happy hour specials every evening, and a full dining menu from 7am to 6:30pm daily. The outdoor patio is prime location to sit back, relax and throw back a few rounds while watching the players finish their rounds. Just across the street, the City constructed an outdoor fitness center for residents to enjoy. This Fitness Cluster features 10 stations, each designed to work a different muscle group. Patrons enjoy sparkling vistas of the Biscayne Bay under the cool, shaded structure. Phase I of this project was completed in February of 2015 and Phase II will complete the park with landscaping, benches, a walkway, and water fountains. See more photos from the Ribbon Cutting Ceremony.